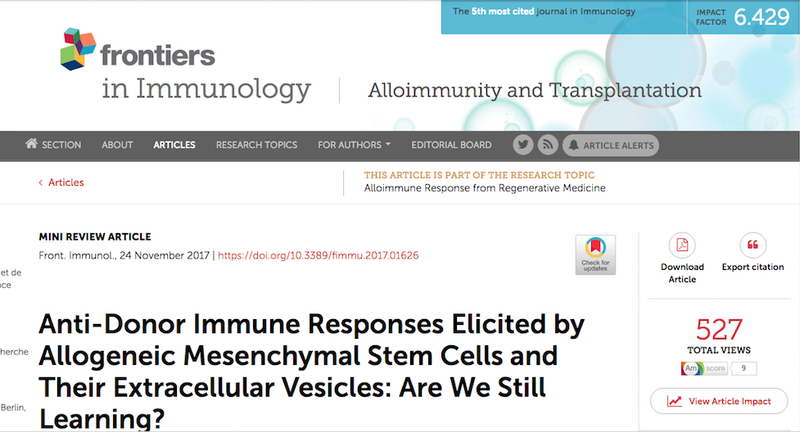 The paper ‘Anti-Donor Immune Responses Elicited by Allogeneic Mesenchymal Stem Cells and Their Extracellular Vesicles: Are We Still Learning?’ is based on the work of Dr Paul Lohan, Dr Oliver Treacy, Prof Matthew Griffin, Prof Thomas Ritter and Dr Aideen Ryan of the National University of Ireland Galway. The publication appears in the November 24, 2017, edition of Frontiers in Immunology. This research was funded by VISICORT, amongst other sources. Read the entire manuscript here. 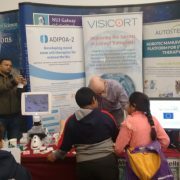 VISICORT researchers at NUI Galway exhibited at the Galway Science and Technology Forum on 26 November 2017. In excess of 20,000 people attended the exhibition day. 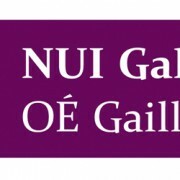 The NUI Galway regenerative medicine stand was the brainchild of Dr Siobhán Gaughan who works across several EU-funded stem cell projects coordinated at NUI Galway. 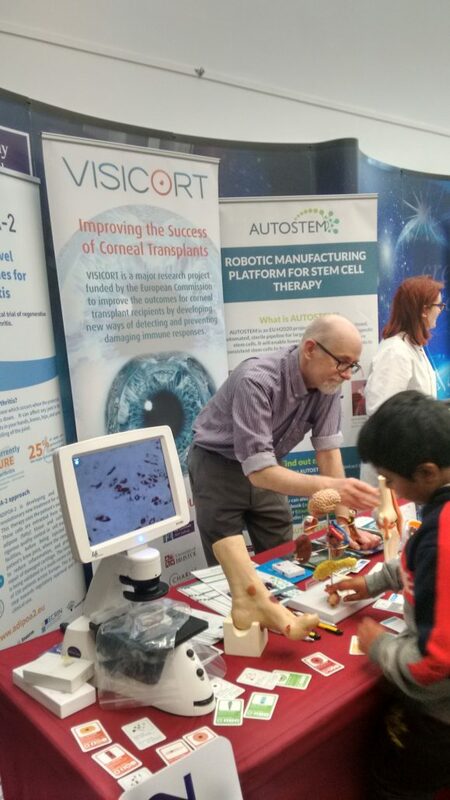 Coordinators Matt Griffin and Thomas Ritter, along with Siobhán Gaughan were on hand to explain the cell research ongoing at the university, the objectives and mission of VISICORT, and to inspire the next generation of stem cell scientists. Several activities were on exhibition. Microscopes were on hand to display bone marrow-derived MSCs and cells differentiated into fat cells. This display was used as an aid to discuss or explain how we need stem cells in our body to replace dead cells in our body and how these stem cells can differentiate down different pathways to make new fat, bone, skin and muscle. 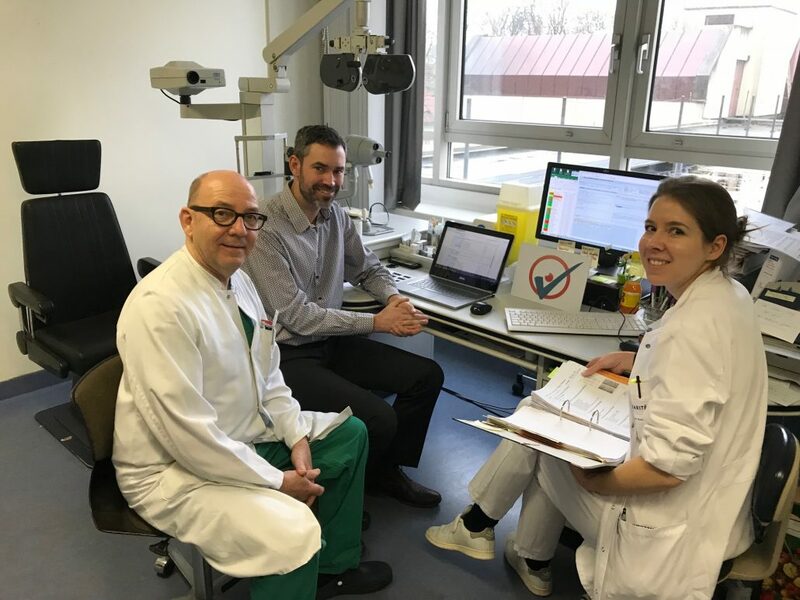 o VISICORT project aims to treat corneal transplant rejection by using an infusion of human bone marrow-derived stromal cells obtained from healthy bone marrow donors. 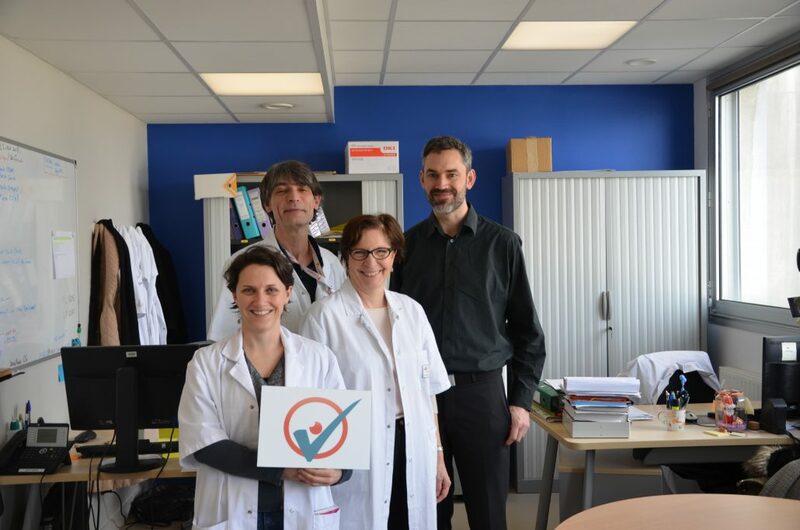 The cells are expanded in CCMI cell manufacturing facility as a cell product, frozen and shipped to Charite Hospital in Berlin where corneal transplant patients will be treated. The cell therapy used in this trial aims to reduce the risk of rejection of the corneal transplant. o ADIPOA-2 is treating osteoarthritis using adipose-derived stromal cells. Cells are isolated from fat tissue procured by liposuction, expanded under GMP (good manufacturing practices) conditions in Centre for Cell Manufacturing in Ireland (CCMI), the cell manufacturing facility at NUI Galway and injected into the knee of people with osteoarthritis. The treatment aims to reduce the pain and inflammation. o NEPHSTROM is a project involving a clinical trial which aims to treat diabetic kidney disease using bone marrow-derived stem cells. Complications of diabetes were explained to help contextualise this project and a diabetic foot model with a black toe was also on hand. AUTOSTEM is an EU-funded project to develop a robotic clean room platform system for the manufacture of large quantities of cells in bioreactors. These large quantities of therapeutic cells will be required once cell therapy clinical trial results prove successful and a cohort of patients will be line up for treatment worldwide. The AUTOSTEM video ran on a loop for display to the public. 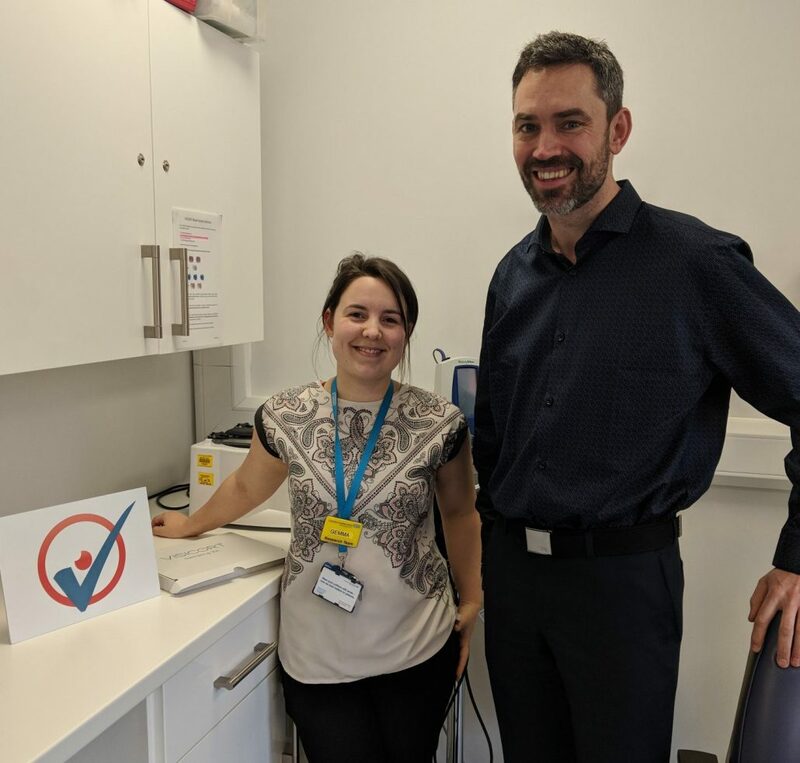 Special thanks to Dr Paul Lohan for tech support with the films and Dr Georgina Shaw for supplying the cells for display. Also thanks to Ning Ge and Yicheng Ding of the iPS cell group at REMEDI led by Prof Sanbing Shen. 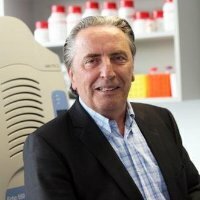 • ADIPOA-2 http://adipoa2.eu/ is led by Prof Frank Barry. Cartilage repair in the knee using stem cells derived from fat. 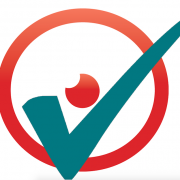 • VISICORThttp://visicort.eu/ is coordinated by Prof Matthew Griffin. 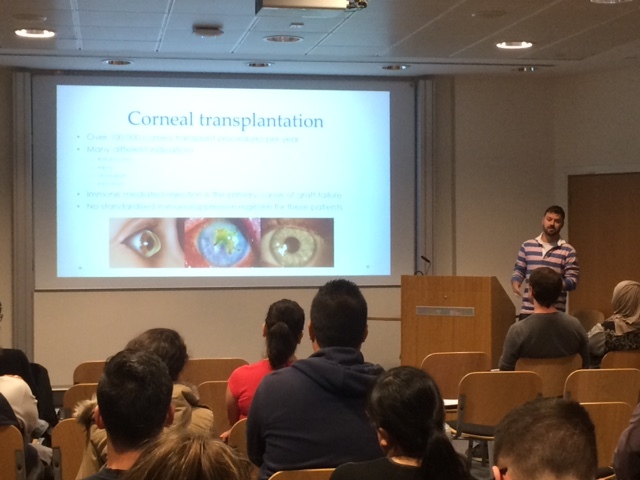 Infusions of bone marrow (BM)- derived stem cells to treat people with corneal transplants avoid transplant rejection. 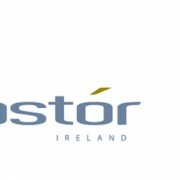 • AUTOSTEM http://www.autostem2020.eu/ is coordinated by Prof Mary Murphy. This project develops a robotic platform and bioreactor which will grow the many cells required to treat future patients. A model bioreactor was available for demonstration. 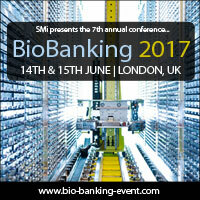 The 7th annual BioBanking conference on took place on the 14th and 15th of June 2017 in Central London, UK. The meeting brought together Europe’s leading biorepositories, regulatory representatives and scientific pioneers to strengthen knowledge in biosample management and explore future advances in areas such as mobile bio-banking and cloud-based sample management. Understanding the ethical and regulatory framework as well as the impact of the General Data Protection Regulation (GDPR) on collaborative science in Europe was a major focus of the conference. 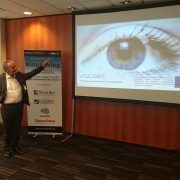 Biostór Ireland Director Peadar Mac Gabhann presented VISICORT as a case study: ‘Cloud-based Sample Management of Multi-Centre Clinical Trial in Corneal Transplant’. 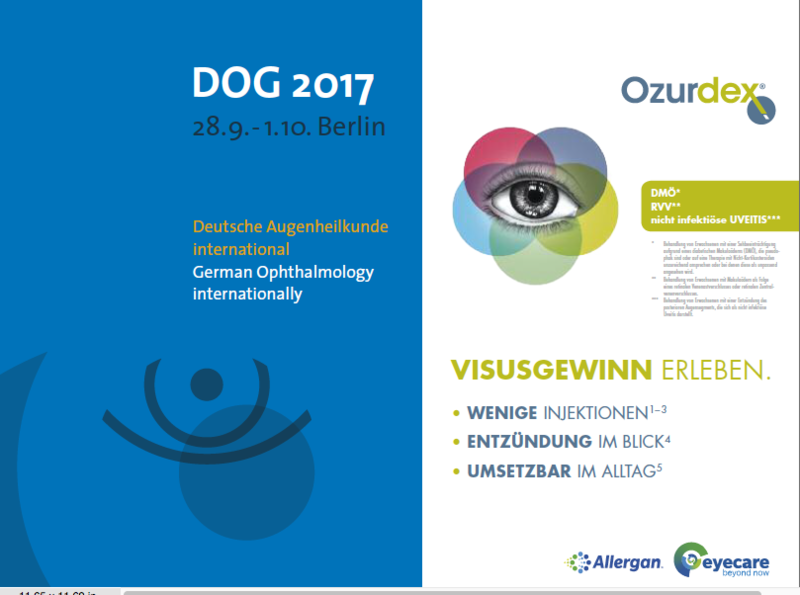 The 115th Deutsche Ophthalmologishe Gesellschaft (DOG) conference was held in Berlin from 28 September – 1 October 2017. Here, Prof Uwe Pleyer of Charité Universitätsmedizin Berlin co-chaired the ‘Germany goes to Europe: European Research Consortia with German participation’ session. 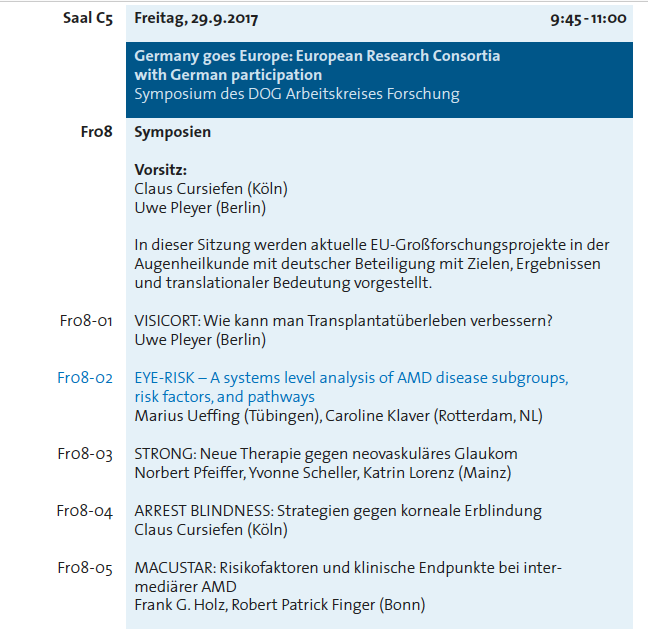 VISICORT was presented by Prof Pleyer during this session which highlighted five projects funded by the European Commission. 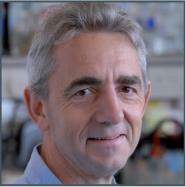 Dr Malcolm Walkinshaw, of SynthSys, Edinburgh joins the VISICORT project. Dr Walkinshaw obtained his PhD in physical chemistry at Edinburgh University. 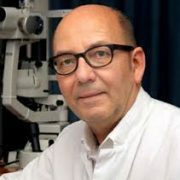 After post-doc positions in Purdue and Gottingen he joined the Swiss company Sandoz (now Novartis) where he built and led a successful 25 person strong ‘Drug Discovery Group’ which made important contributions to understanding the mode of action of immunosuppressive drugs like cyclosporin. On taking up the Chair of Structural Biochemistry at the University of Edinburgh he founded the ‘Structural Biochemistry Group’ which later became part of the Wellcome Trust Centre for Cell Biology. In 2007 with funding from the Wellcome Trust and BBSRC he founded the Centre for Translational and Chemical Biology which continues to provide world-class facilities for protein production. One major research theme has been around the enzymes of the glycolytic pathway as potential anti-parasitic drug targets. This work has led to the development of potent nanomolar inhibitors that kill trypanosomal parasites quickly and can cure mice infected with Trypanosoma brucei, the parasite that causes sleeping sickness. Walkinshaw has published over 250 papers and has over 9000 citations. SynthSys, University of Edinburgh (SYNT), The Centre for Synthetic and Systems Biology is a research centre of the University of Edinburgh, UK which is composed of a multi-disciplinary team of experimentalists (molecular biologists, biochemists, chemists) and modellers (mathematicians, computational modellers, and software developers) working together to gain a better understanding of the nature of various biological systems. One component of SynthSys is the Kinetic Parameter Facility (KPF). This facility is a core experimental resource containing state-of-the-art equipment which is used to generate kinetic parameter data that is subsequently used to feed into mathematical models. Among the different experimental strategies, quantitative proteomics is a largely employed approach. 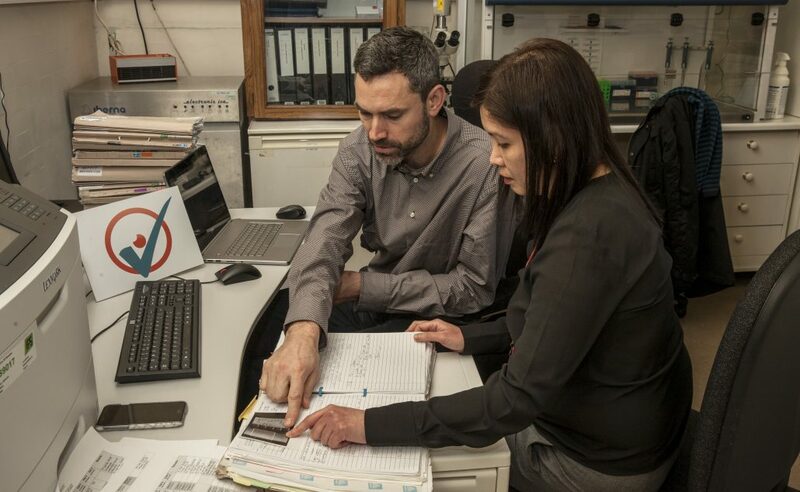 The main quantitative proteomics expertise developed in the lab is based on a label-free LC-MS/MS strategy which can be used with a wide variety of biological samples including tissue or fluid for biomarker discovery. In contrast to other quantitative proteomics approaches, the label-free quantitation enables a large-scale experimental design. Therefore, it allows for the comparison of large sample groups under various conditions. SynthSys has an established collaboration with FIOS for large-scale data analysis and also has an on-going collaboration with research groups with specific clinical interests such the Centre for Cognitive Aging and Cognitive Epidemiology and Centre for Cognitive and Neural Systems. Over the past 5 years, SynthSys has successfully performed a wide variety of diverse quantitative proteomics studies. Hosted by Leiden University Medical Center, the EU MSC2 2017 meeting in Leiden, NL on September 12th and 13th will assemble twelve EU-funded, mesenchymal stromal cell-focussed consortia. Projects to be presented include: REDDSTAR, REACH, RETHRIM, Stellar, MERLIN, Nephstrom, SCIENCE, VISICORT and Adipoa-2, AUTOSTEM, BOOSTB4, SEPCELL, RESSTORE, and RESPINE. This two day, interactive meeting will be held at the Stadsgehoorzaal Leiden. Three overarching aspects of the EU-MSC2 meeting include: mechanisms of action and potency assays; an interactive panel discussion on product development, and product development and market authorisation in a changing regulatory landscape. For more information, please visit EU MSC2 2017. Register via Eventbrite by August 14 2017. Read the EU-MSC2 2015 meeting report here. 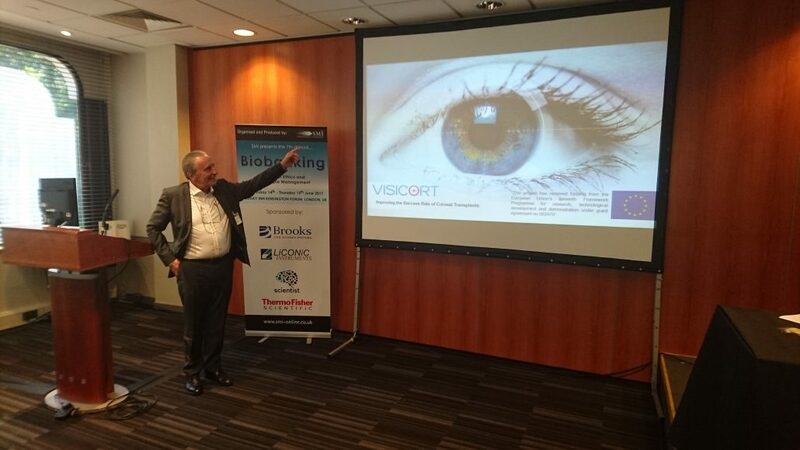 Biostór Ireland’s Peadar Mac Gabhann presented the VISICORT Biorepository at the 7th International Biobanking Summit in London on Thursday, June 15, 2017. 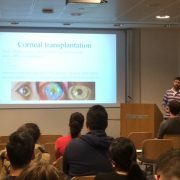 VISICORT researcher Dr Paul Lohan presented his work on MSC cell therapy in high risk cornea transplantation at the Regenerative Medicine Institute (REMEDI) seminar which took place in the Biomedical Sciences Building NUI Galway on Thursday 8th June. The seminar was attended by research scientists and principal investigators.